Miss Universe 2015: Host Steve Harvey Names Wrong Winner... Watch this Actual Video! 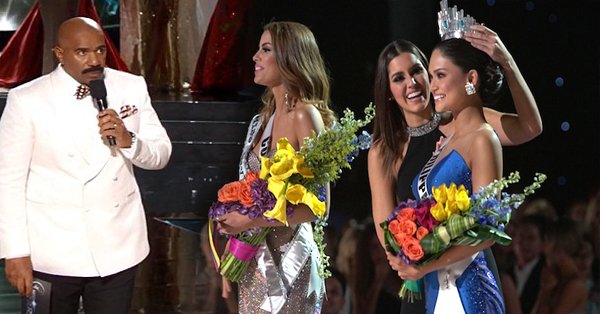 Every country has its own bet on who will be crowned as Miss Universe. But one of the crowd’s favorite is the Philippines representative Pia Wurtzbach. What makes her stand out from the rest of the beautiful ladies? It is definitely her “determination”. 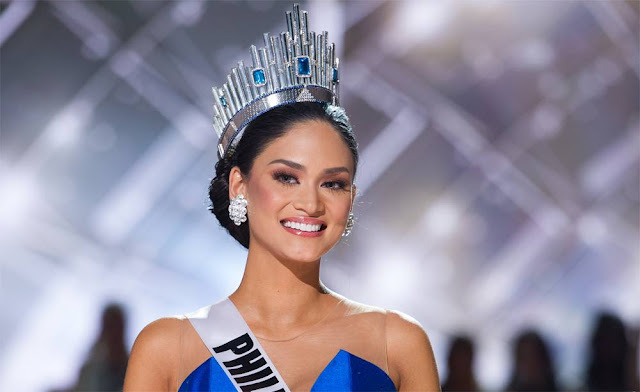 She joined Miss Philippines three years in a row is a good sign of how determined Pia was. And now that she entered Miss Universe and represents our country, she will double her drive and no one will stop her from getting the crown! Today, we have witnessed on how Pia carry herself elegantly and brilliantly in from of the whole universe. She was even break the wall and made it to the top 3 of Miss Universe. But one of the things that we cannot see is some awkward moments and this one is the most awkward moment of all! 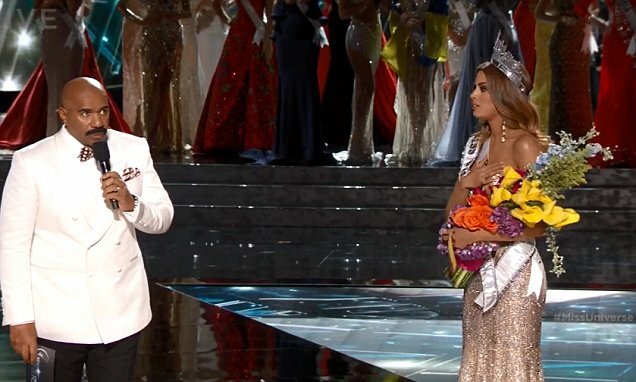 Watch the video as Miss Philippines was amazed and stunned on how the pageant turned into a golden moment. and this video that Miss Germany can't accept the fact about Miss Philippines Victory.